Many of the new vehicle customers think they have to step away from the half ton truck models because they aren’t fuel efficient. And in truth, all you have to do is mention 8 cylinders and most people head out in the opposite direction. However, the new trucks are not at all like their predecessors, and eight cylinders doesn’t necessarily mean “gas eater” anymore. New technologies can make an eight cylinder vehicle almost as efficient as a small car. 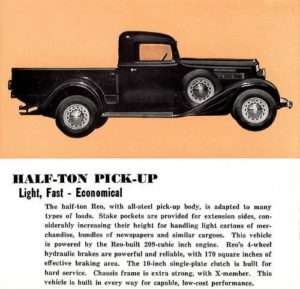 The new half-ton pickup trucks are not only good at getting that hauling or carrying job done but they also offer better fuel economy. In fact, consumers are often amazed at how fuel efficient these new trucks are. This new fuel efficient technology means that trucks are here to stay and are not going to fade out. Now more than ever the new trucks still offer more horsepower, hauling ability and comfort. In the last four years most of the half ton trucks have received some sort of redesign, and the most important of these redesign features is fuel economy. For years truck lovers have been ostracized for driving a gas guzzling large vehicle, but that’s no longer the case. Most new trucks have newer fuel economy technology, which allows them to get 20 miles or more miles per gallon. This new change has been brought about by competition, but also as a need for the car manufacturers to meet stronger environmental requirements made by both the consumer and the government. As a whole, looking at all the half ton trucks we can say that they are getting much more comfortable, fuel efficient and faster, though not lighter. These new trucks have style, the big boy look, but they certainly don’t eat up the gas like their predecessors. Along with this major change most of this year’s pickups also have other great changes. The ride is much more quiet, and most manufacturers have also made significant changes to comfort and cabin interiors. These allow drivers to experience a comfortable ride but get the work efficiency they need for a full sized pickup.